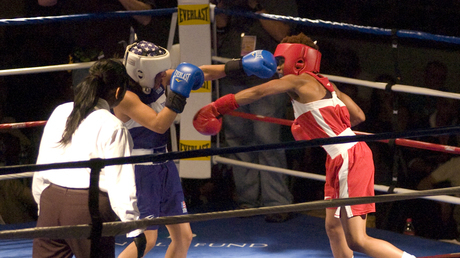 Women’s Boxing Olympic Trials set to begin, February 13, 2012! There will be just 24 women competing, 24 women who have worked harder than they ever thought possible to gain the right to compete in the first-ever Women’s United States Boxing Team Olympic Trials. Set to run for six short days from February 13-19, 2012, the women who represent the best that elite women’s boxing has to offer will once again, box their hearts out for one of three Olympic weight divisions spots that will see them go on to the 2012 Women’s World Championship Olympic qualifier in China this coming May. Win or lose, these women should remain forever in our hearts as the champions they truly are! THEY ARE THE CHAMPIONS! « Olympic Fever! Yep, girls boxing everywhere!